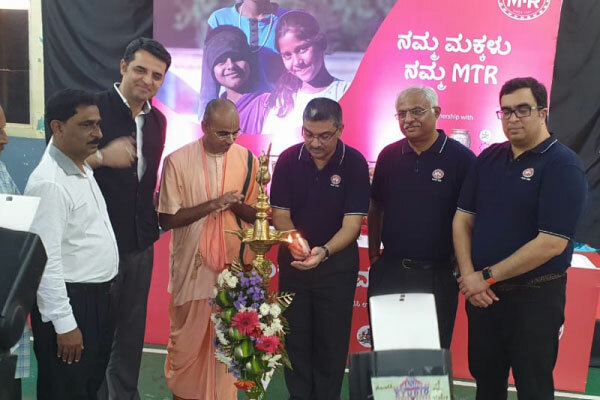 On 6 September, 2018, Sanjay Sharma, CEO - MTR Foods inaugurated the third consecutive programme of ‘Namma Makkalu-Namma MTR’ in collaboration with The Akshaya Patra Foundation. This CSR programme ‘Namma Makkalu-Namma MTR,’ will now serve healthy mid-day meals to about 6,000 students from 60 schools in Mangaluru and Surathkal, for the current school year. Sanjay Sharma further added, "The MTR Foods pledges to provide a million nutritious meals, as a part of the programme." This project was introduced in the year 2015 by covering 2,000 children from 20 schools in the first year. In 2018, this initiative will take an additional 4,000 children of Mangaluru and Surathkal under its coverage. Mr. Sharma further said that ‘Namma Makkalu-Namma MTR' aims to serve healthy meals to children, assure they come to school and be the responsible members of the society. Sundeep Talwar - Chief Marketing Officer, The Akshaya Patra Foundation stated, "The Foundation, in association with MTR, has been relentlessly working to touch upon the lives of five million children by 2020." Speaking about Akshaya Patra's initiative, Meenakshi Shantigodu - Zilla Panchayat President said that the Foundation has been providing 15,000 meals every day at various South Kannada schools. It has been successful in driving the malnutrition level to see a downward trend.